Few places on Earth make for a more unforgettable vacation destination than South Africa's famed Kruger National Park. Located on the eastern edge of the country, it shares a long border with Mozambique. Kruger could almost be considered a nation unto itself, being roughly the size and shape of Israel. 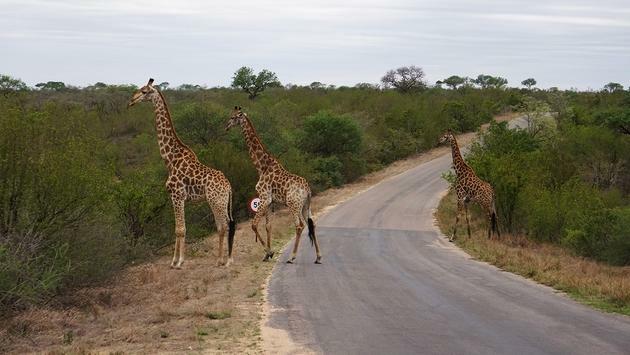 The park is easily accessible, either from Kruger Mpumalanga International Airport, about 40 miles away, or from Johannesburg, a four-to-five-hour drive. There are a handful of lodging options within the park itself, as well as numerous less expensive options ringing the park boundaries. We chose to stay at Jock Safari Lodge, which is located at the confluence of two rivers: the Mitomeni (Shangaan for Jackelberry Tree) and Biyamiti (Shangaan for Place of many Trees). The lodge is tucked into the southwest corner of the park, and it has 6,000 hectares of exclusive traversing rights, allowing guests excellent Big Five game viewing. The lodge has just undergone a total refurbishment, and upon arriving, you’re transported back to an old era of safari glamor as you are seated in a large, comfortable Arrival Tent with a welcome drink. The tent, reminiscent of the era of ‘great African safaris,’ features vintage-style furniture and leather travel trunks. Visitors to the lodge will note how traditional tones intertwine with neutral colors and brighter spaces. This results in a contemporary design with historical pieces that have pride of place. The dining area and upstairs bar have been redesigned, and glass sliding doors with extended roofing were redesigned to bring the outdoors in—one of our favorite aspects here. The communal swimming pool has been heated, and new stairs provide easy access to the river bed for the exclusive Riverbed Dining Experience offered during the warmer months. Staying at Jock is an all-inclusive affair, with meals, most drinks, high tea and daily game drives included in the price. The food is fresh and flavorful, and the one evening’s buffet dinner surprised me with the excellent quality of all of the dishes—far above what I’d expect from even a luxury buffet. There is a nice combination of dishes familiar to most travelers, along with regional specialties, for those who really want to indulge in the local culture. Each room is its own little compound, with a beautiful poster bed, luxurious shower and bath, and sitting area. But each suite also has its own private outdoor shower, outdoor soaking tub, small pool, and daybed, which overlooks the edge of the property. 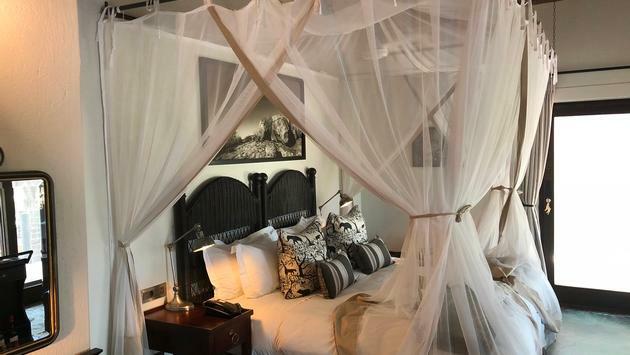 You can relax in the daybed and watch the wildlife wander by; upon request, the staff will make up the daybed and set up the mosquito netting, should you wish to sleep under the stars. There is a definite rhythm to the day—during our stay, we’d receive an early morning wakeup call for our morning game drive. We’d come back for breakfast and lunch, relaxing at the lodge or catching up on reading. The guides were knowledgeable, professional and friendly—as well as more than willing to find whatever “must-see” animals that were on the group’s wish list each day. An evening game drive got us back for drinks and dinner, and we’d be exhausted after that, ready to head to bed—and eager to tackle the next days’ adventures.